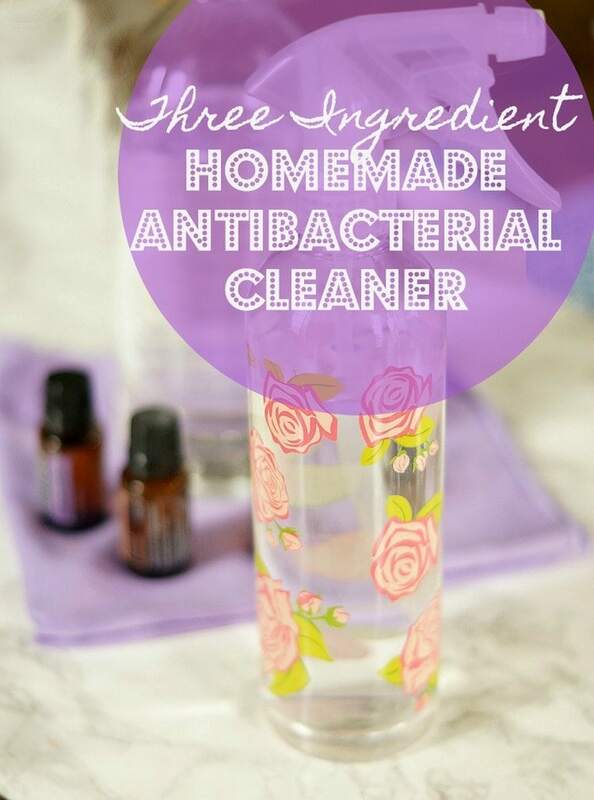 This easy Homemade Antibacterial Cleaner is made with only three ingredients and is good for killing germs and bacteria in nearly every room of your house! This Homemade Antibacterial Cleaner uses only three ingredients and can be used for almost every room in your home! 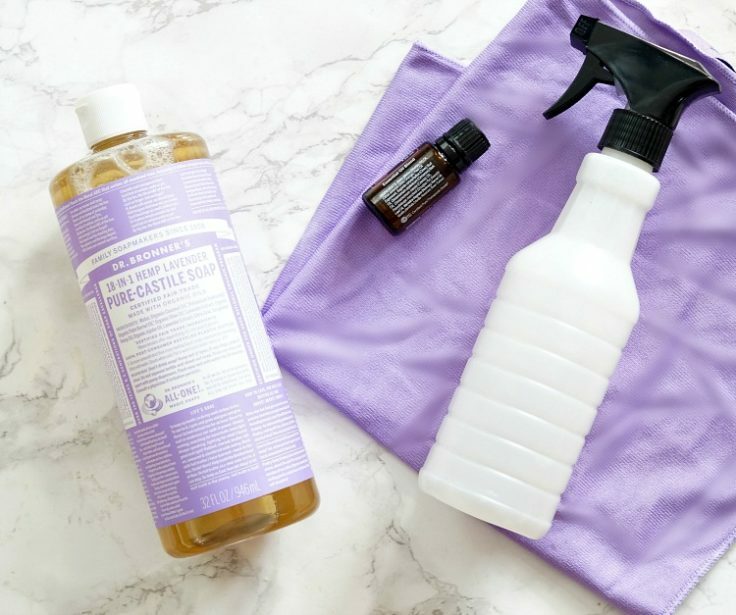 You will love how simple this chemical free cleaner is to make and how well it works! Amanda here from Old House to New Home, sharing one of my go to homemade cleaner recipes. 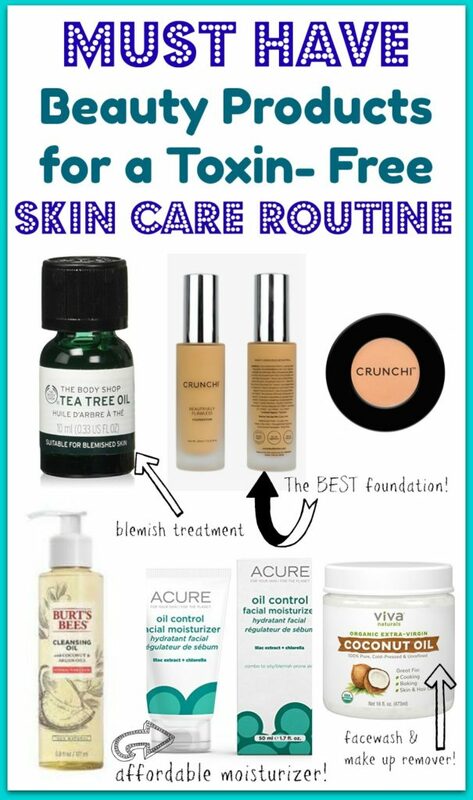 For the last few years, I have really been trying to eliminate toxic chemicals from our home. It is impossible to eliminate them completely, because the chemicals are honestly in almost everything. I have found that the best way to get rid of these dangerous products is to make as many of my cleaning products as possible! I have a simple homemade all purpose cleaner on my blog, but I know that many occasions call for something that kills bacteria, like when cleaning the toilet, or after you cut chicken! This simple antibacterial cleaner only uses a few ingredients and couldn’t be simpler to make. You only need 3 ingredients for this cleaner, two of which you already have at home! 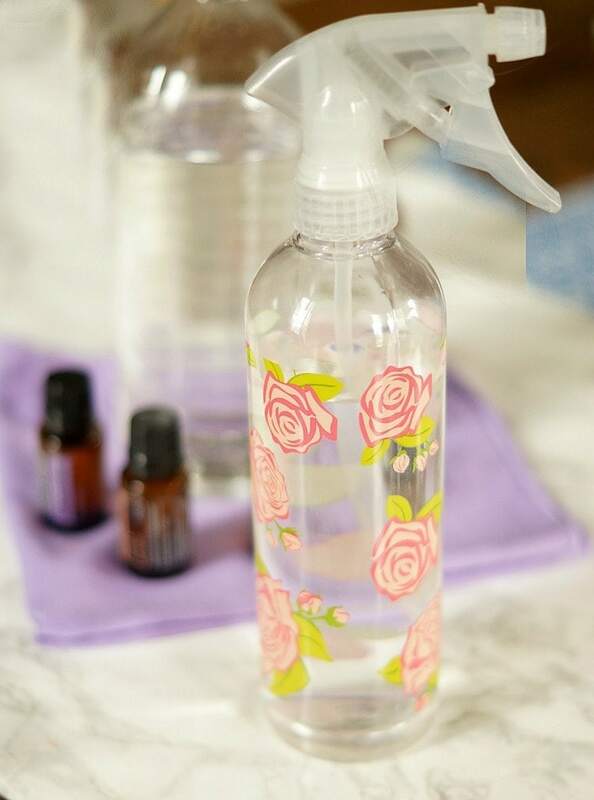 Water and white vinegar are the main, most important ingredients, and then you can add in essential oils for additional cleaning properties and also for a fresh scent! This is so easy to make, you’ll be able to keep it stocked year-round. Just follow these simple instructions. There are just 3 steps. 1. Add 3 cups of cold water to your spray bottle. Use a glass spray bottle. Why do you use a glass spray bottle with essential oils? Because the essential oils are so strong they could possibly pull the chemicals out of the plastic. 2. 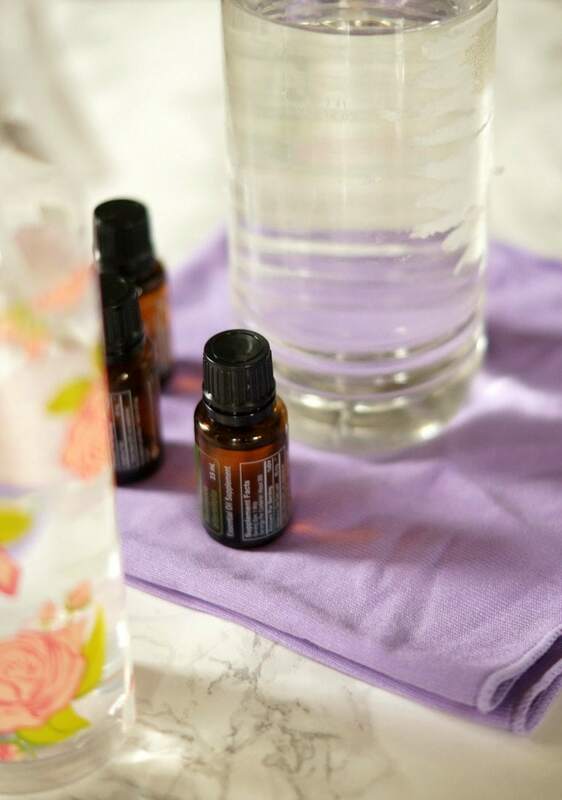 Add 1/2 cup white vinegar and then 10-15 drops essential oil. I always dilute with both vinegar and water. The white vinegar is a natural deodorizer and it cuts through grease. I use it in just about all my natural cleaners. 3. Shake bottle to distribute. Put cap on and use! I use this on just about every surface in my home. 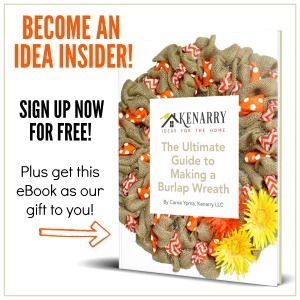 It’s so easy to make that I don’t mind using it everywhere – bathroom, kitchen, bedrooms, and even door knobs. Your cleaner will keep in the spray bottle indefinitely! You may need to freshen up the drops of essential oil occasionally if the smell starts to mellow out too much. You’ll find yourself using this all over your entire home. 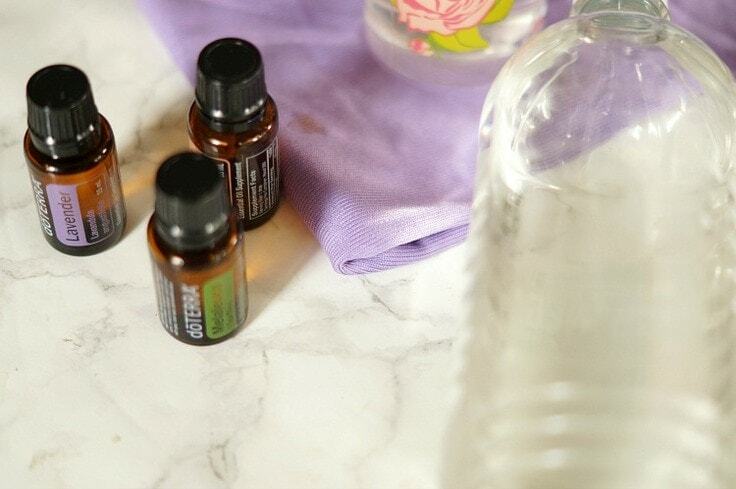 Here are some of my favorite ways to use the homemade cleaner. Simply spray on any plastic or wood cutting board and let sit! Wipe with cold water before use so your food doesn’t taste like the oil. It is great at cleaning your cabinets, countertops, and sink! It is perfect to use on your toilet. Simply sprinkle the bowl with baking powder and then spray it down with the cleaner. Let sit for 5 minutes and then scrub with your toilet brush. This homemade cleaner can be used on most surfaces, including wood. Do not use on natural surfaces, such as granite or marble, as the vinegar can etch the stone.